Jeremy Levin is best known for helping reshape Bristol-Myers Squibb, turning it from a lumbering conglomerate to a leaner oncology drugmaker. Levin parlayed that job into the head seat at Teva Pharmaceutical; there he launched a turnaround attempt that abruptly ended when he bowed out amidst some controversy less than two years later. Now, Levin has resurfaced in a much different place—as the chairman of a new startup, Ovid Therapeutics, aiming to target rare neurological diseases with no current effective treatments. The public details regarding Ovid are scarce: it doesn’t have a website yet, for instance, though the company, and Levin’s affiliation with it, have surfaced occasionally in media reports, like in this story from biopharma-reporter.com. Second, as Levin confirmed, its founder, president, chief scientific officer, and interim CEO is Matthew During, a former molecular virology professor at Ohio State University and a neuroscience specialist. Mark Feldberg, a partner at a “major fund” in Chicago, is Ovid’s chief financial officer, he said. During himself provided some hints about what Ovid might be up to in a talk at the 2014 Global Summit on Angelman Syndrome in Chicago on Dec. 6. In that presentation, During said that the startup was developing a drug for Angelman syndrome, a rare genetic disorder, and that the drug was gaboxadol (renamed OV-103), which was once tested by Merck and Lundbeck as a sleeping pill. I was able to view video of that speech a few days ago on YouTube, but it has subsequently been made private. When I asked Levin if Ovid is indeed developing gaboxadol/OV-103 for Angelman syndrome, he was cagey. “We certainly have great interest in this area and that disease, but I just can’t confirm to you that the info that you have is accurate or complete at this stage,” Levin said. I also enquired about a notice on the website for the nonprofit Foundation for Angelman Syndrome Therapeutics announcing that FAST has partnered with Ovid to develop a treatment for Angelman. Levin wouldn’t confirm the partnership; saying just that Ovid is “partnering with all of the relevant not-for-profit organizations in our disease areas.” So fair to say it’s unclear what place, if any, OV-103 currently has in Ovid’s portfolio. Angelman syndrome is linked to a specific genetic defect in a gene known as UBE3A. 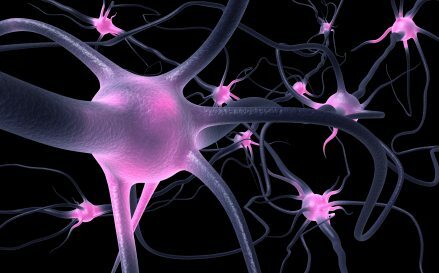 Because of the defect, neurons in the brain don’t produce a key protein, leading to a host of neurological, cognitive, and motor problems. Angelman patients have problems learning, walking, and speaking, and often suffer epileptic seizures. The syndrome is estimated to affect one out of every 15,000 to 20,000 births. There are no approved drugs for Angelman, just treatments to manage symptoms—like anti-epilepsy drugs to treat seizures—and behavioral and physical therapy to help patients deal with the attention, speaking, and walking problems. In the presentation in December, During had said Ovid aimed to resurrect gaboxadol, which was originally derived from the psychoactive ingredient in a poisonous, hallucinogenic mushroom called amanita muscaria (or “fly agaric”), in the 1970s. Gaboxadol is a safer synthetic version of the mushroom compound, and it was tested as a treatment for a variety of conditions including Alzheimer’s and Huntington’s over two decades before Danish drugmaker Lundbeck moved it forward as a potentially non-addictive sleeping pill in the late 1990s. Merck was intrigued, and cut a $270 million licensing deal for gaboxadol in 2004. But Phase 3 studies of the drug disappointed, and the two companies stopped developing it in 2007. Five years later, a team led by Japanese researcher Kiyoshi Egawa published a paper in Science Translational Medicine tying the movement problems in Angelman patients to lower than normal levels of an inhibitory neurotransmitter, GABA, in the brain. Think of GABA as the brain’s brakes; without enough of it too many signals fire, which can cause a variety of problems. During said in the presentation he snapped up patents for gaboxadol as a possible treatment for Angelman because it’s a supercharger of GABA. In his December presentation, During said the drug has already been tested in thousands of patients and established as safe, and that Ovid was thinking about taking it straight into a small Phase 2 trial. Levin was the head dealmaker at Novartis between 2002 and 2007 and over the next five years the senior VP of strategy and alliances at Bristol-Myers Squibb. At Bristol, he was one of the orchestrators of an initiative dubbed the “string of pearls” plan, in which the drugmaker aligned itself with a number of biotechs via licensing deals and small- to mid-size buyouts. Levin was named CEO of Israeli generics giant Teva in early 2012, but resigned less than two years later, in October 2013. At the time, there were numerous reports of an alleged board squabble over his cost-cutting and restructuring plan, particularly in Israel.